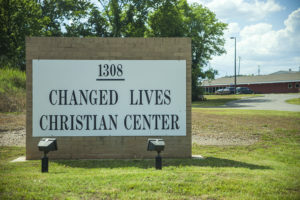 There are many ways you can partner with CLCC Ministries. Giving today is a place to start…. Your gifts of cash can be used immediately and directly to meet the needs of the men in our care. Consistent and ongoing gifts provide a more predictable income and allow our ministry to be more effective stewards of our resources. Your donations of food, clothing, medical supplies and more help offset our budget and allow monetary income to be used directly to fund our life-changing outreach. Please drop off your contributions at 1308 26th Ave N., Monday through Friday, from 9 a.m. to 4 p.m. Questions? Call 205-521-6421 or email development@foundryministries.com. Click below to see map directions. Gifts of real estate, stocks and bonds, retirement assets and bequests made through your Will can benefit CLCC and strengthen your legacy of caring for your neighbors. To learn more, contact our development office at development@foundryministries.com or 205-424-HOPE (4673).